Using different systems for your customer, website, financial, and email activities is often a necessary evil, but it doesn’t have to slow down your business. Integrating the systems and being able to access all of the information you need, where you need it. Listen to our webinar from February 7 to learn about how integration can help improve business processes, clean up data, and provide better, more complete views of what is going on in your company. Integrate your different systems to become one. 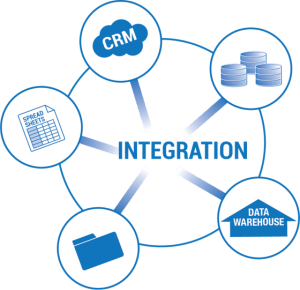 Contact us to learn more about our integration capabilities.